Unfortunately, none of my friends growing up were blondes so when I decided to take the plunge three years ago to go blonde, you could imagine I was in for a surprise. Nobody warned me how dry and damaged my hair would become and how much more care blonde hair requires. Over these past years though I have been through quite a good amount of trial and error with different products. While I am always trying new products out, I have found three solid standouts in my hair routine. First, for blondes who are cool- or neutral-toned (or those who still wish to rid their hair of brassiness) a purple toning shampoo is godsend. I have tried several, both from high end and drugstore brands, and my favorite by far is the Lee Stafford Bleach Blondes shampoo. You do need to use this shampoo with caution because if you leave it on too long, you will see a purple hue to your hair – been there, done that, everyone felt a need to point out my purple hair that day. When used correctly, my hair is bright and beautiful, and also well cleansed. I found this at my local Ulta and it is around $10. My next recommendation is the Giovanni 2chic Ultra-Moist Deep Deep Moisture Hair Mask. While it is labeled as a hair mask, this usually takes the place of my conditioner. Nothing, and I mean nothing, has made my hair feel as soft and look as shiny and healthy as this baby does. I also really enjoy this mask because there are no protein ingredients in it. In order to avoid further breakage, I only use products with protein sparingly. I will use them for a week or so after I get my hair done and a week before I go back to the salon. Other than that, this hair mask is what I use. It has turned me on to the Giovanni line of products and I am hoping the new hair care that I purchased from them is just as good. I found their line at Sprouts and it is also reasonably priced. Lastly, because I use a lot of dry shampoo to avoid washing my hair everyday, my hair has a lot of build-up and can look dull after awhile. 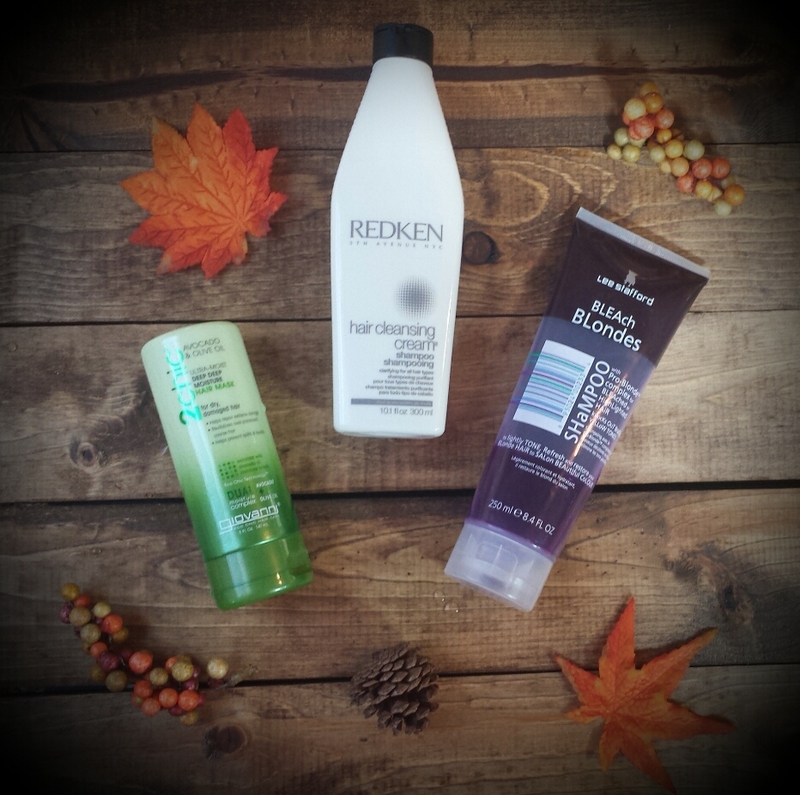 To combat this I use the Redken Hair Cleansing Cream Shampoo about once every two-to-three weeks (thanks to Kristin Gehm for recommending this product). I leave it on for a minute or two and my hair comes out incredibly clean. I advise that you use a deep conditioner after it because it does dry out your hair; it also removes any temporary toning so next shampoo you may want to follow up with a toning shampoo/conditioner. I would assume this could be purchased wherever Redken products are sold but I bought mine at Ulta. While I do recommend these products for the blonde bombshells out there, if you have excessively dry or damaged hair you could definitely use the hair mask. Most people would also benefit from a good cleaning shampoo as well. I’m currently on the hunt for a great hair oil so perhaps if I find one I will also share it in a post. Hope these products work out for you and thanks for stopping by.